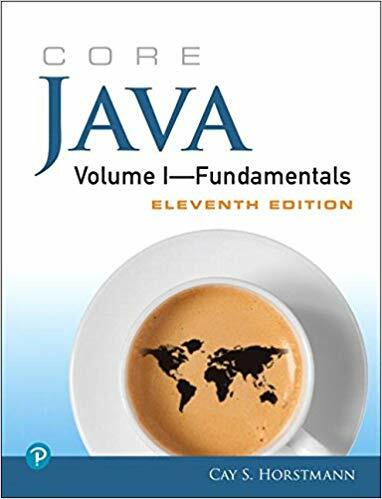 Books about Java offer a great way of learning how to program Java and at a much lower price than taking, for example, a specialist Java Course. By reading a book, you consume a huge amount of research in a relatively short amount of time, and it is one of the best ways to improve your Java knowledge and skills. 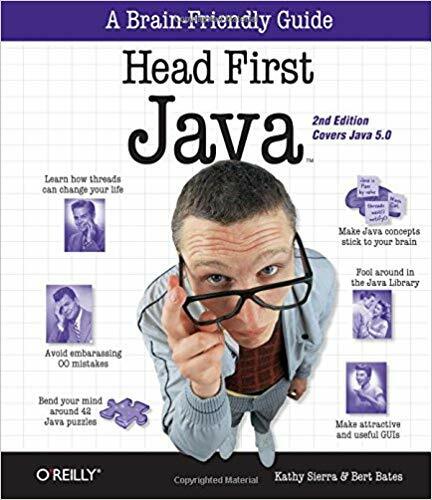 The only problem is that there are lot’s of Java Books on the market and there are much more to come. For instance, just doing a search for “Java Books” in Amazon results in more than 10,000 books only about Java, so how do you make up your mind about what to read? You can do a google search and search for the Best Java Books but then you get hundreds of “Best of Lists” in front of you, so that doesn’t help a lot either unless you want to spend a full day going through all those lists. Well, that is exactly what we did! 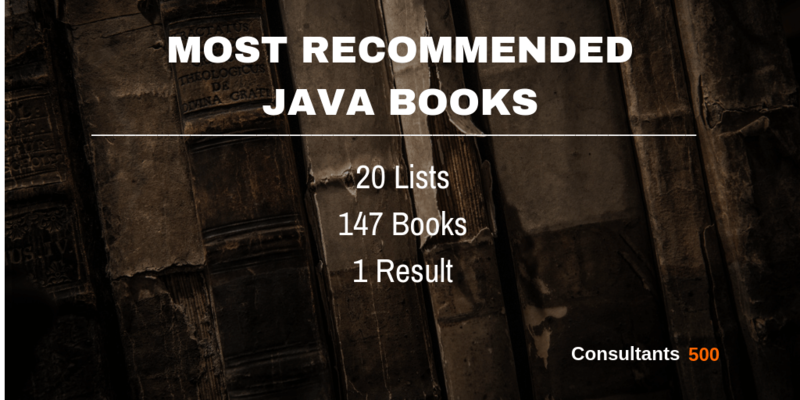 We searched for 50 “Best of Lists” highlighting the most recommended Books about Java by various authority sites. Then we selected and combined the 20 most valuable “Best of Lists” and earmarked and ranked what Java Books keep up appearing on most of those recently published lists. From a total of 147 Java Books compared, reviewed and ranked, here are the Top 20 of Most Recommended Java Books that appear on most of the Best Java Books lists! As we are a small business ourselves, we use this list as well for educating and inspiring our minds and for optimizing our Consultants 500 platform. And in case you didn’t know yet, on our platform you can search for all types of Web Development Services all over the world, including Java Services, Java Freelancers, Java Experts, and Web Development Firms that specialize in Java. Finally, if you are a Java Expert yourself, you can always register for free if you want to, it’s all up to you. See here how it works. Listed 18 out of 20 times. Joshua J. Bloch (born August 28, 1961) is a software engineer and a technology author, formerly employed at Sun Microsystems and Google. He led the design and implementation of numerous Java platform features, including the Java Collections Framework, the java math package, and the assert mechanism. He is the author of the programming guide Effective Java (2001), which won the 2001 Jolt Award, and is a co-author of two other Java books, Java Puzzlers (2005) and Java Concurrency in Practice (2006). – James Gosling, Fellow and Vice President, Sun Microsystems, Inc. Listed 17 out of 20 times. Kathy Sierra has been interested in learning theory since her days as a game developer (Virgin, MGM, Amblin’). More recently, she’s been a master trainer for Sun Microsystems, teaching Sun’s Java instructors how to teach the latest technologies to customers, and a lead developer of several Sun certification exams. Along with her partner Bert Bates, Kathy created the Head First series. She’s also the original founder of the Software Development/Jolt Productivity Award-winning javaranch.com, the largest (and friendliest) all-volunteer Java community. Bert Bates is a 20-year software developer, a Java instructor, and a co-developer of Sun’s upcoming EJB exam (Sun Certified Business Component Developer). His background features a long stint in artificial intelligence, with clients like the Weather Channel, A&E Network, Rockwell, and Timken. Listed 11 out of 20 times. Brian Goetz is a software consultant with twenty years of industry experience, with over 75 articles on Java development. Tim Peierls is the very model of a modern multiprocessor, with BoxPop.biz, recording arts, and goings on theatrical. Joseph Bowbeer is a Java ME specialist whose fascination with concurrent programming began in his days at Apollo Computer. David Holmes is a coauthor of The Java Programming Language and works at Sun Microsystems. 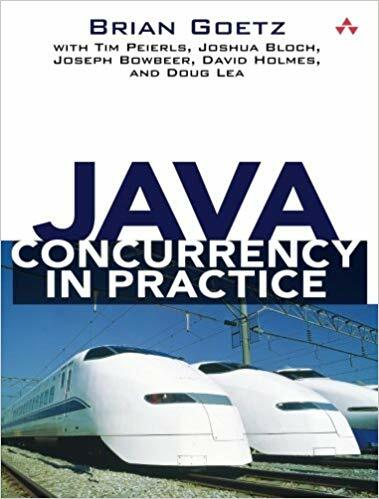 Joshua Bloch is a chief Java engineer at Google, author of Effective Java and coauthor of Java Puzzlers, and never codes like his brother – well, hardly ever. Doug Lea is the author of Concurrent Programming in Java and Professor of Computer Science at SUNY Oswego. Listed 14 out of 20 times. Best-selling author Herbert Schildt has written extensively about programming for nearly three decades and is a leading authority on the Java language is books have sold millions of copies worldwide and have been translated into all major foreign languages. He is the author of numerous books on Java, including Java: The Complete Reference, Herb Schildt’s Java Programming Cookbook, and Swing: A Beginner’s Guide. He has also written extensively about C, C++, and C#. Although interested in all facets of computing, his primary focus is computer languages, including compilers, interpreters, and robotic control languages. Listed 13 out of 20 times. Cay S. Horstmann is a professor of computer science at San Jose State University and a Java Champion. He is also the author of Core Java®, Volumes I and II, Eleventh Edition (forthcoming from Pearson in 2018), Core Java SE 9 for the Impatient, Second Edition (Addison-Wesley, 2018), and Scala for the Impatient, Second Edition (Addison-Wesley, 2017). He has written more than a dozen other books for professional programmers and computer science students. Listed 5 out of 20 times. Craig Walls is a software developer at Pivotal. He’s a popular author and a frequent speaker at user groups and conferences. Craig lives in Cross Roads, Texas. Listed 8 out of 20 times. Eric Freeman recently ended nearly a decade as a media company executive, having held the position of CTO of Disney Online & Disney.com at The Walt Disney Company. Elisabeth Robson is co-founder of Wickedly Smart, an education company devoted to helping customers gain mastery in web technologies. Bert Bates is a 20-year software developer, a Java instructor, and a co-developer of Sun’s upcoming EJB exam (Sun Certified Business Component Developer). Kathy Sierra has been a master trainer for Sun Microsystems, teaching Sun’s Java instructors how to teach the latest technologies to customers, and a lead developer of several Sun certification exams. Listed 6 out of 20 times. Robert C. “Uncle Bob” Martin has been a software professional since 1970 and an international software consultant since 1990. He is founder and president of Object Mentor, Inc., a team of experienced consultants who mentor their clients worldwide in the fields of C++, Java, C#, Ruby, OO, Design Patterns, UML, Agile Methodologies, and eXtreme programming. Listed 8 out of 20 times. Raoul-Gabriel Urma is a software engineer, speaker, trainer, and PhD candidate at the University of Cambridge. Mario Fusco is an engineer at Red Hat and creator of the lambdaj library. Alan Mycroft is a professor at Cambridge and co-founder of the Raspberry Pi Foundation. Listed 3 out of 20 times. Andy Hunt is an avid woodworker and musician, but, curiously, he is more in demand as a consultant. He has worked in telecommunications, banking, financial services, and utilities, as well as in more exotic fields, such as medical imaging, graphic arts, and Internet services. Andy specializes in blending tried-and-true techniques with leading-edge technologies, creating novel–but practical–solutions. Dave Thomas likes to fly single-engine airplanes and pays for his habit by finding elegant solutions to difficult problems, consulting in areas as diverse as aerospace, banking, financial services, telecommunications, travel and transport, and the Internet. Before moving to the United States in 1994, Dave founded an ISO9001-certified English software company that delivered sophisticated, custom software projects throughout the world. Listed 4 out of 20 times. Lasse Koskela, a methodology specialist at Reaktor Innovations in Finland, has coached dozens of teams in agile methods and practices such as test-driven development. Listed 4 out of 20 times. Allen B. Downey is a Professor of Computer Science at Olin College of Engineering. He has taught at Wellesley College, Colby College, and U.C. Berkeley. He has a Ph.D. in Computer Science from U.C. Berkeley and Master’s and Bachelor’s degrees from MIT. Chris Mayfield is an Associate Professor of Computer Science at James Madison University, with a research focus on CS education and professional development. He has a Ph.D. in Computer Science from Purdue University and Bachelor’s degrees in CS and German from the University of Utah. Listed 3 out of 20 times. Charlie Hunt is the JVM performance lead engineer at Oracle. He is responsible for improving the performance of the HotSpot JVM and Java SE class libraries. He has also been involved in improving the performance of the Oracle GlassFish Server Open Source Edition and Oracle WebLogic application servers. Binu John is a senior performance engineer at Ning, Inc., the world’s largest platform for creating social websites. In his current role, he focuses on improving the performance and scalability of the Ning platform to support millions of page views per month. Listed 4 out of 20 times. Ken Arnold, formerly a senior engineer at Sun Microsystems Laboratories, is a leading expert in object-oriented design and implementation. He was one of the original architects of the Jini™ technology, and the lead engineer of Sun’s JavaSpaces™ technology. David Holmes is director of DLTeCH Pty Ltd, located in Brisbane, Australia. He specializes in synchronization and concurrency and was a member of the JSR-166 expert group that developed the new concurrency utilities. Listed 6 out of 20 times. Jamie Chan is a tutor and freelance programmer by profession. He holds a Master in Computer Science and is a Microsoft Certified Application Developer. It is his passion to share the joy of programming with as many people as possible. In his books, Jamie takes special efforts to ensure that even a complete novice to programming can understand and apply the concepts covered. Listed 3 out of 20 times. Nathan Clark is an expert programmer with nearly 20 years of experience in the software industry. With a master’s degree from MIT, he has worked for some of the leading software companies in the United States and built up extensive knowledge of software design and development. Nathan and his wife, Sarah, started their own development firm in 2009 to be able to take on more challenging and creative projects. Today they assist high-caliber clients from all over the world. Listed 8 out of 20 times. Herbert Schildt is a leading authority on the Java, C, C++, and C# languages, and is a master Windows programmer. His programming books have sold more than 3.5 million copies worldwide and have been translated into all major foreign languages. He is the author of the best-selling The Art of Java, Java: A Beginner’s Guide, and Swing: A Beginner’s Guide. Among his other bestsellers are C++: The Complete Reference, C++: A Beginner’s Guide, C#: The Complete Reference, and C#: A Beginner’s Guide. Listed 7 out of 20 times. Bruce Eckel is president of MindView, Inc. (www.MindView.net), which provides public and private training seminars, consulting, mentoring, and design reviews in object-oriented technology and design patterns. He is the author of several books, has written more than fifty articles, and has given lectures and seminars throughout the world for more than twenty years. Bruce has served as a voting member of the C++ Standards Committee. He holds a B.S. in applied physics and an M.S. in computer engineering. Listed 7 out of 20 times. Dr. Barry Burd has an M.S. in Computer Science from Rutgers University and a Ph.D. in Mathematics from the University of Illinois. As a teaching assistant in Champaign-Urbana, Illinois, he was elected five times to the university-wide List of Teachers Ranked as Excellent by their Students. Since 1980, Dr. Burd has been a professor in the Department of Mathematics and Computer Science at Drew University in Madison, New Jersey. Listed 7 out of 20 times. Scott Oaks is an architect at Oracle Corporation, where he works on the performance of Oracle’s middleware software. Employed by Sun Microsystems in 1987, he became Sun’s Java evangelist and in 2001 joined their java Performance group, which is now his primary focus. Scott has written O’Reilly books on Java Security, Java Threads, and Jini. “Gain in-depth knowledge of Java application performance, using the Java Virtual Machine (JVM) and the Java platform, including the language and API. With this comprehensive guide, developers and performance engineers alike will learn a variety of features, tools, and processes for improving the way Java 7 and 8 applications perform. Via our Web Development Briefing Room, the Top Resources on the web are followed and only the most shared content is shown in relation to Web Development & Design. You can filter all the content for the last 24 hours, 3 days, 1 week, 1 month, 3 months, etc so you can easily find and stay up to date with the latest developments. More than 75% of potential Clients who look for any type of Java Services start a Web Search to find the best Java Professional for the Job. Because the internet is by far the leading channel, it is critical that your business can be easily found on the internet. Creating a profile on our Platform is free and opens the door to new opportunities, it can be done in only a few minutes and without any credit card. Easily find and compare highly qualified Java Experts with all sorts of backgrounds by searching our Platform, which can be local Web Development Firms that Specialized in Java, a Java Specialist or it can be Freelance Java Experts. Directly contact and work with your ideal candidate in any way you like. Searching is always free, and that also means that we never charge any transaction type of fees. We made a list of 50 posts that were recently published about “Best Java Books” to read. We combined the 20 lists of “Best Java Books” and earmarked all individual books that were on those lists. All lists were summed up, and the Java Books with the lowest number were ranked 1, 2, 3, etc. 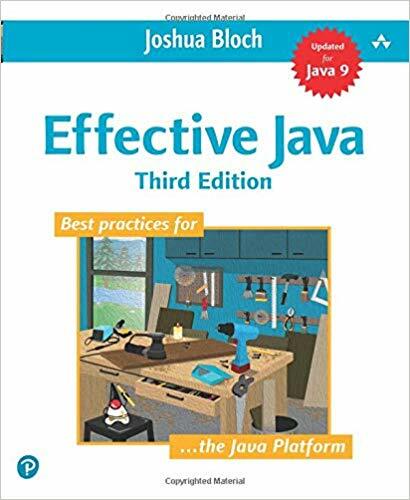 This resulted in the final “Top 20 of Best Java Books” that have been recommended most times by all types of Java Experts. 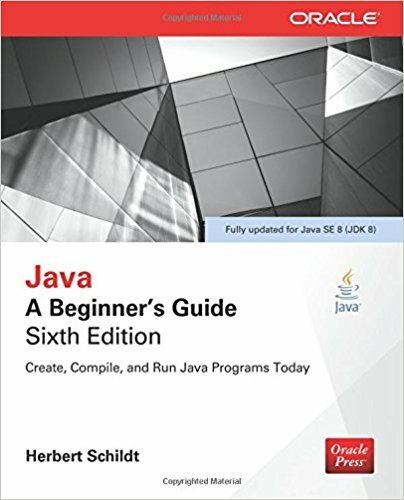 What are the best books for learning Java?